USMC To Switch from M16 to M4? 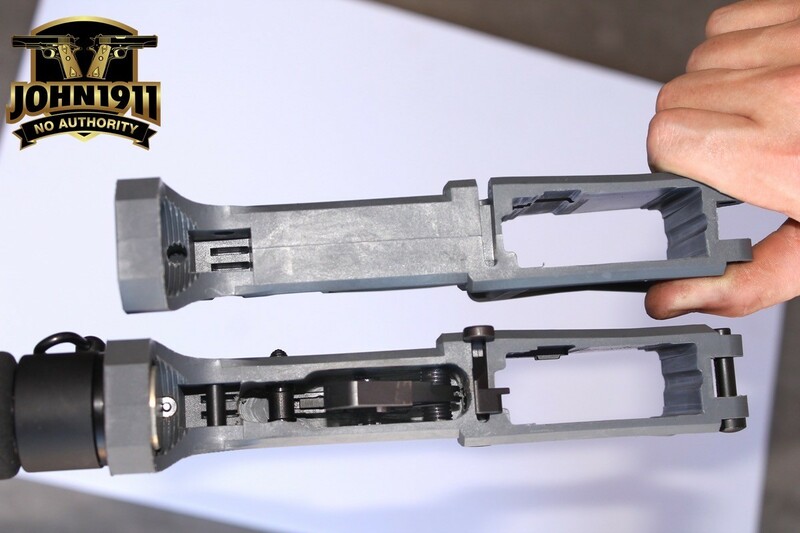 A so-called 80-percent receiver is an AR-15 lower receiver that is 80-percent finished. Depending on the material and the manufacturer, you can finish them yourself using tools ranging from a mill to a Dremel tool. 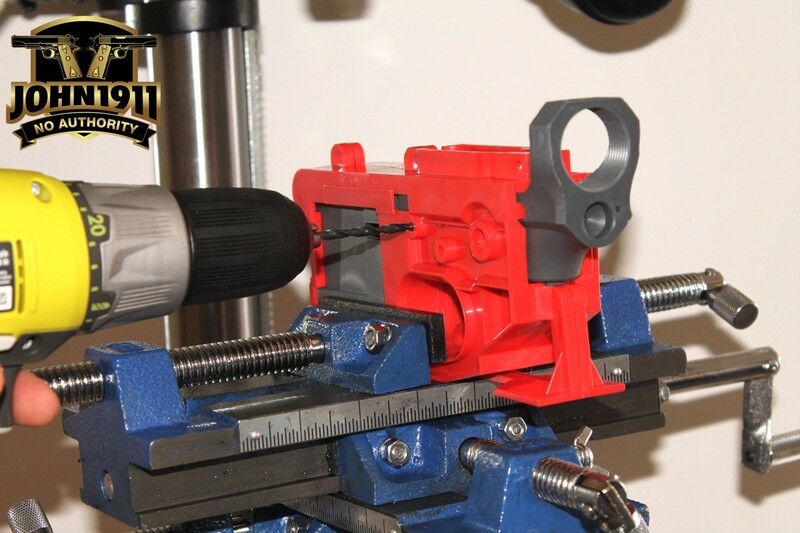 In addition to the satisfaction of “doing it yourself,” an 80 percent lower can be shipped straight to your door with no FFL involved because it’s not a “firearm” until the machining is finished. Because it’s not a firearm, there is no serial number. Everything needed to complete the gun is in the box except for a drill press, X-Y-axis vice, hand drill and common hand tools. 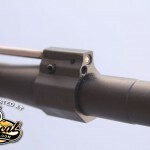 The jig is a one-time-use deal and includes all of the drill and mill bits needed to finish the receiver. 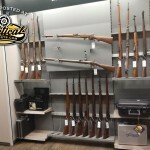 According to ATF, “Firearms may be lawfully made by persons who do not hold a manufacturer’s license under the GCA provided they are not for sale or distribution and the maker is not prohibited from receiving or possessing firearms.” That means you can finish these lowers for your own use. You can’t finish one and give it to someone, and your machinist brother-in-law can’t finish your receiver for you. The jig is basically idiot-proof. The hole indicators are even self-centering. 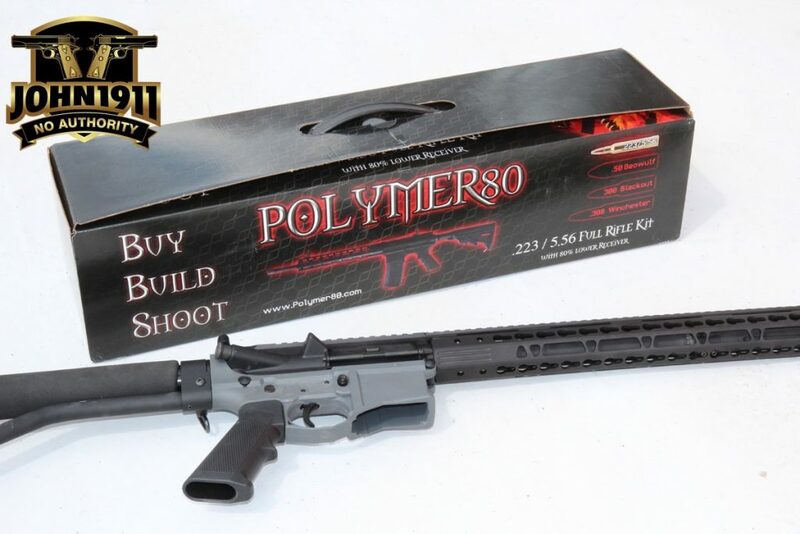 Polymer80 recently came out with what they call the “Buy, Build, Shoot Kit” and it makes completing an AR-15 from an 80-percent lower stupid simple. 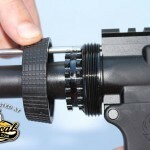 Every part you need is in the box, including the correct drill and milling bits and an idiot-proof jig so you make your cuts in the right places. Machine a little at a time, and simply stop on the line. If you can drill a hole and turn a crank, you can finish these receivers. 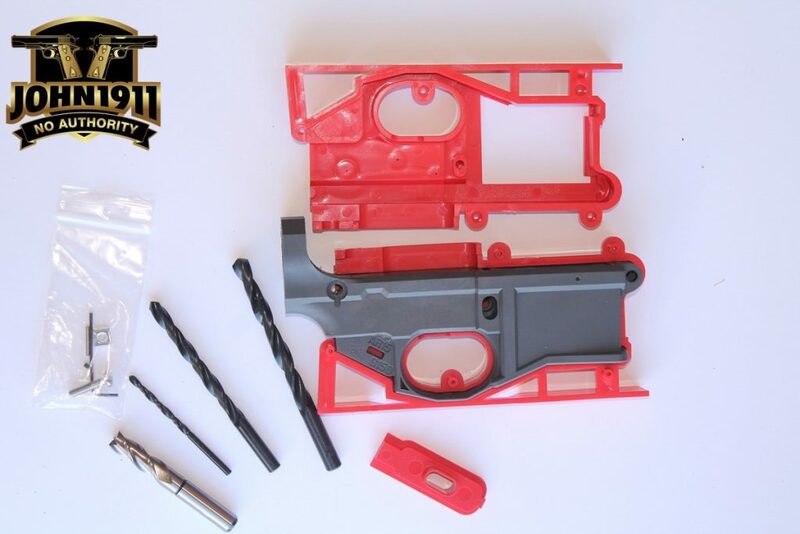 It took me less than an hour to mill out the remaining 20 percent of the Polymer80 lower and then using simple hand tools had a functional and accurate AR-15 on the range by the end of the day. I did take it apart later and give it a rattle can coating of Brownell’s AlumaHyde. 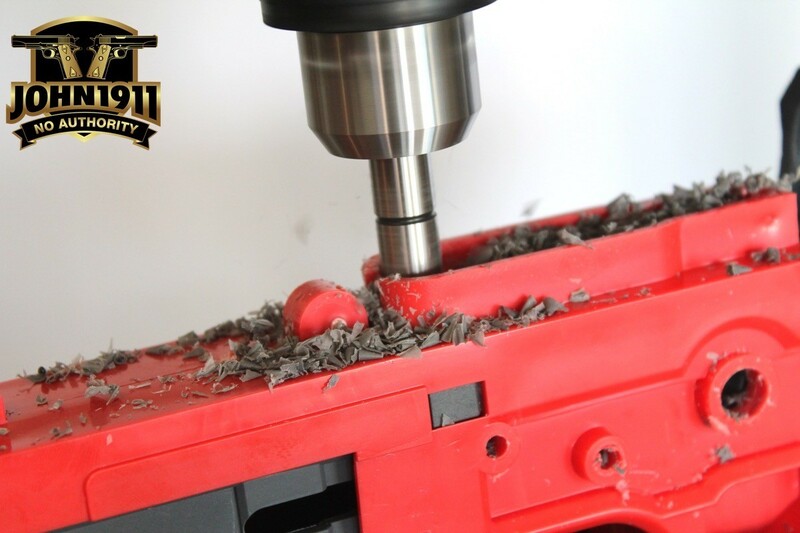 The only thing you have to mill out is the fire control pocket plus drill the holes for the selector switch and hammer and trigger pins. 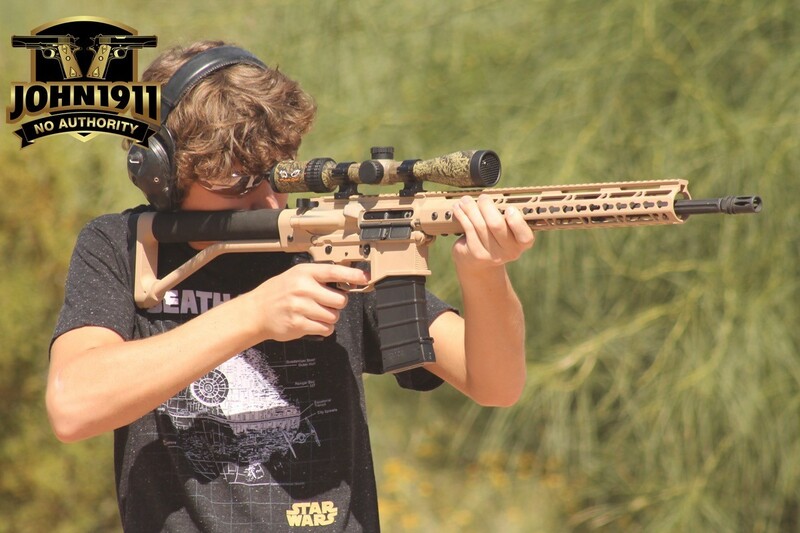 Accuracy is right at one inch at 100 yards, which is right up there with my Bushmaster, and the trigger pull is right there with other rack-grade ARs I’ve handled. Overall, I’m impressed with how easy it was to make this gun. I can never sell it, but why would I? 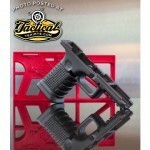 The finished AR is coated with Brownell’s AlumaHyde because it looks badass that color.